Altogether 31 countries participated the 46th Intersteno Congress, with 471 participants, and 269 of them have been invited to compete 26th July in various disciplines. The next Intersteno Congress and the accompaning competition will be held in 2009 in China. See [PPT] presentation. 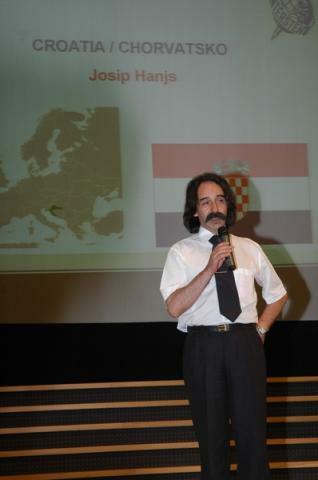 Mr. Josip Hanjš is employed at Croatian Chamber of Trade, Zagreb, as a professional stenographer. 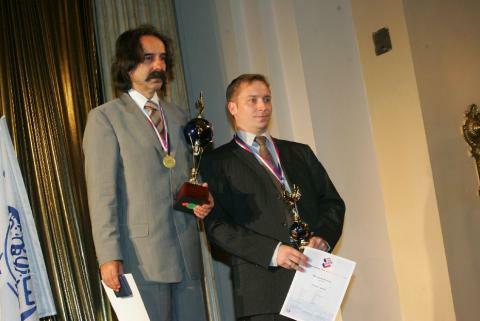 CROATIAN shorthand practitioner Josip Hanjs has taken the gold medal in the senior World Campionship for shorthand/speech capturing competition at Praha 2007. Taking notes in Croatian, Hanjs managed 497 syllables with 73 penalties. 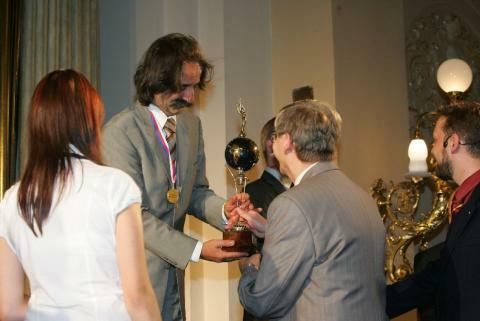 Compititors at the world championship event faced a 15-minute dictation exercise with the speed range increasing every five minutes. The highest placed English-language exponent was Emily Morris, who works as a Hansard reporter, who notched 15th place. Ms Morris, who entered the world of stenography 25 years ago and who records the debates in the House of Commons, got a syllable average of 269 with 32 penalties. For Croatia especially interesting is the fact that there were as many as 161 competitors who were compiting via Internet, for their respective countries, and many of them (39!) have chosen the language indicated as HR (Croatian language). We show only the results of the first two competitors, out of 161. ...Als Einziger schaffte der Kroate Josip Hanjs die gesamte Ansage von 15 Minuten, was in seiner Sprache eine Leistung von 497 Silben bedeutet, womit er überlegen Weltmeister wurde.